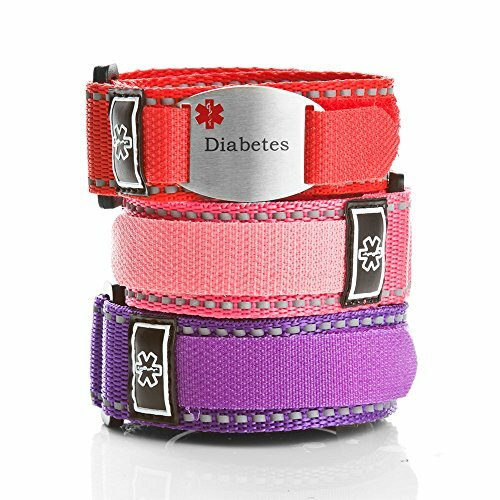 Three adjustable diabetes sport strap bracelets with curved tag for added safety. Features reflective thread for nighttime. Id tag is surgical stainless and can easily be moved from strap to strap. Pre-engraved with Diabetes. Includes additional medical condition waterproof stickers. If you have any questions about this product by StickyJ, contact us by completing and submitting the form below. If you are looking for a specif part number, please include it with your message.